Volkswagen is at CES2018 to showcase the ID Buzz fully electric leisure vehicle with artificial intelligence and autonomous capabilities. Volkswagen and NVIDIA will use Artificial Intelligence (AI) and deep learning to shape the development of a new generation of intelligent Volkswagen vehicles. 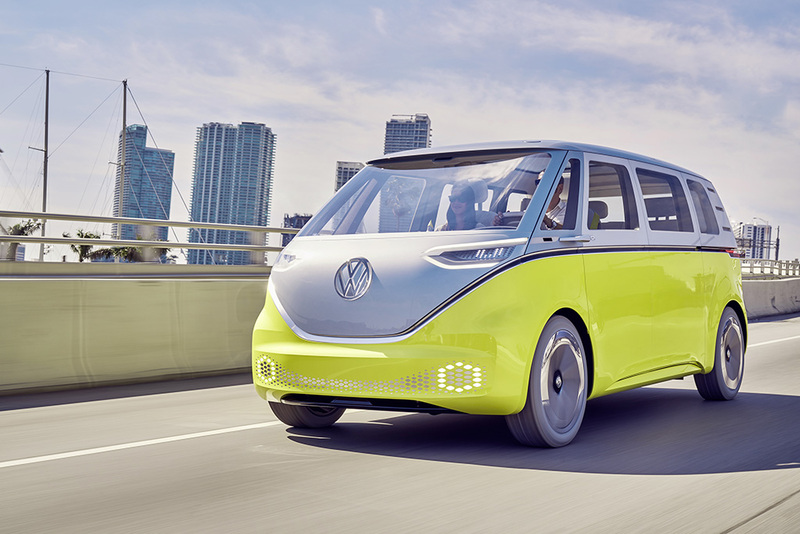 At the kickoff of the 2018 International CES, Volkswagen CEO Dr Herbert Diess and NVIDIA founder and CEO Jensen Huang discussed how AI is transforming the automotive industry and highlighted the new ID BUZZ, Volkswagen’s rebirth of the iconic Volkswagen MicroBus, recreated in electric car form and infused with AI technology for the cockpit and self-driving. One exciting potential outcome of AI infusion into the Volkswagen ID BUZZ is the “Intelligent Co-Pilot” capability, which will include convenience and assistance systems based on processing sensor data from both inside and outside of the car. The systems can be enhanced throughout the life of the vehicle via software updates, and can gain new capabilities as further developments are made in autonomous driving. Thanks to deep learning, the car of the future will learn to accurately assess situations and analyse the behaviour of others on the road, enabling it to make the right decisions. Building on the NVIDIA Drive IX Intelligent Experience platform, AI-enabled features such as facial recognition for unlocking the vehicle from the outside, driver alerts for bicycles, gesture recognition for user controls, natural language understanding for flawless voice control and gaze tracking for driver distraction alerts are all possible. The ID BUZZ is part of the ID family with which Volkswagen will launch its electric car campaign and gradually introduce autonomous driving starting in 2020. More than 20 fully electric vehicles are planned by 2025. These new models are based on a completely new car architecture that is consistently geared towards zero-emission, digital mobility and making use of the electric drive’s overall package benefits. Using a battery that is integrated flat in the chassis floor and a compact drive system, they offer a generous and highly variable interior. To this end, pioneering technology is available from the electric compact car segment, such as the operating concept featuring an augmented-reality head-up display. From the start, the models based on this architecture will offer the very latest assistance systems and will be prepared for the respective levels of autonomous driving that are available. The electronic systems will also be gradually introduced to vehicles with conventional drive systems.